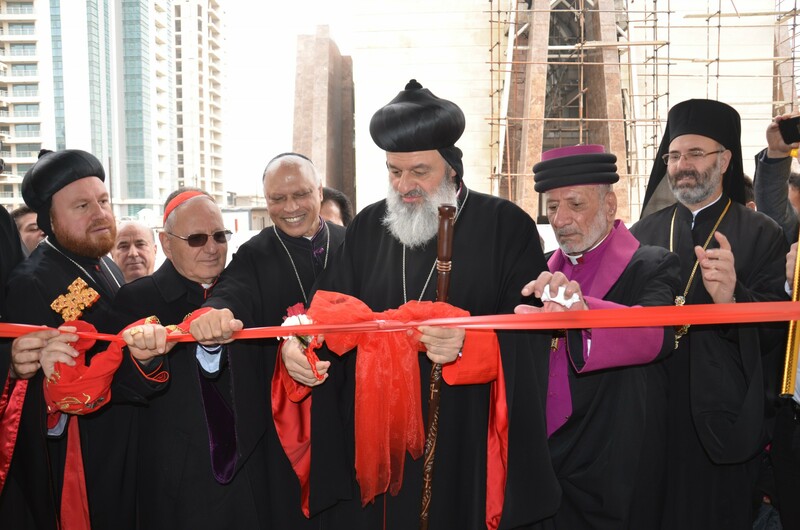 On January 26, 2019, His Holiness Patriarch Mor Ignatius Aphrem II inaugurated the new Archdiocesan Residence in Erbil. An official celebration was organized for the occasion. It was attended by His Beatitude and Eminence Cardinal Louis Raphaël I Sako Patriarch of Babylon of the Chaldeans, and His Beatitude Mar Gewargis III, Catholicos-Patriarch of the Assyrian Church of the East. Their Eminences Mor Nicodemus Daoud Sharaf, Archbishop of Mosul, Kirkuk, Kurdistan and Environs, Mor Gregorios Saliba Chamoun, Patriarchal Counselor, Mor Severius Hawa, Archbishop of Baghdad and Basra, Mor Justinos Paulos Safar, Patriarchal Vicar in Zahleh and Bekaa, Mor Timotheos Moussa Al-Shamani, Archbishop of the Archdiocese of Mor Mattai Monastery, and Mor Timotheos Matta Al-Khouri, Patriarchal Vicar for the Patriarchal Archdiocese of Damascus, as well as their Eminences and Excellencies Archbishops and representatives of the various Christian Churches in Iraq were also present. In his word, His Eminence Mor Nicodemus Daoud Sharaf thanked His Holiness for his fatherly love and spoke about the stages of the project of the Archdiocesan Residence and its aims. Very Rev. Fr. Patrick from Barnabas Fund expressed, in his word, his happiness for the help Barnabas Fund is being able to provide for the Church in the Middle East. In his word, His Holiness congratulated the Archdiocese of Mosul, Kirkuk and Kurdistan for the new Archdiocesan Residence. 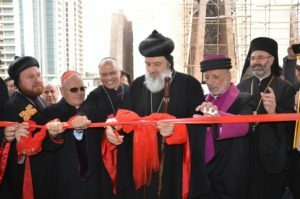 He assured that this doesn’t imply by any means that the center of the Archdiocese has been moved; yet, he stressed that the aim of this new residence is to offer better service for the faithful in Erbil and Iraqi Kurdistan. He also thanked the regional government of Iraqi Kurdistan for its help, and Barnabas Fund for its generous contribution in the building of the new residence. His Holiness then led the prayer of blessing the new place, and inaugurated the new building.